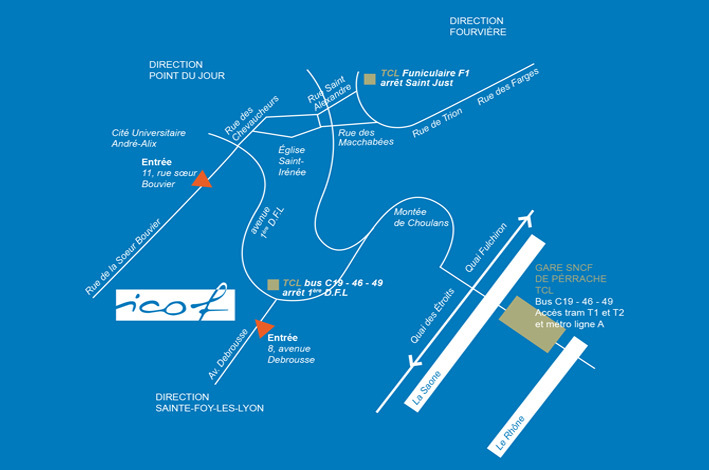 By bus : the C19, 46 and 49 buses (journey time 5 minutes) leave from the SNCF Perrache railway station (bus stop : ‘1ère DFL’). By foot : 12 minutes’ walk from the ‘Saint Just’ funicular stop. For more information, contact us by telephone 04 78 15 00 60.